The San Ysidro Ranch, still recovering from the devastating floods last January, is beginning limited operations including overnight guests in the rustic cottages and dining at the Stonehouse restaurant. The Stonehouse is now open for private dining events and will be open for public holiday brunches on December 22, 23, 29, and 30. An announcement on their Facebook page offered an update: “We are thrilled to celebrate the holidays with old friends and new this December, and excited to share this sneak peek of the updated Wine Cellar venue! 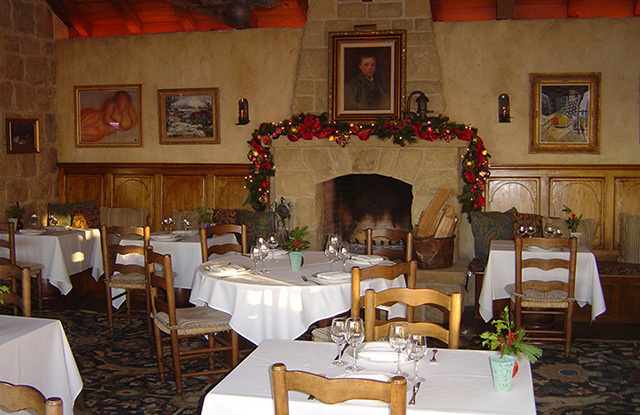 For more information and availability to reserve a private event, contact salesadmin@sanysidroranch.com” I am told that The Plow & Angel restaurant is still closed and that both restaurants will offer regular service starting in March. More information about the holiday brunches will be posted on social media.